(ZIZ News) — In the wake of the passing of former leader of Cuba, Fidel Castro, the Cuban Alumni Association has paid their respects to the people of Cuba by presenting a dedication plaque to the Ambassador of Cuba, His Excellency Hugo Ruiz Cabrera. Public Relations Officer of the Cuban Alumni Association Dr. Dwain Archibald explained why the association decided to make the presentation. 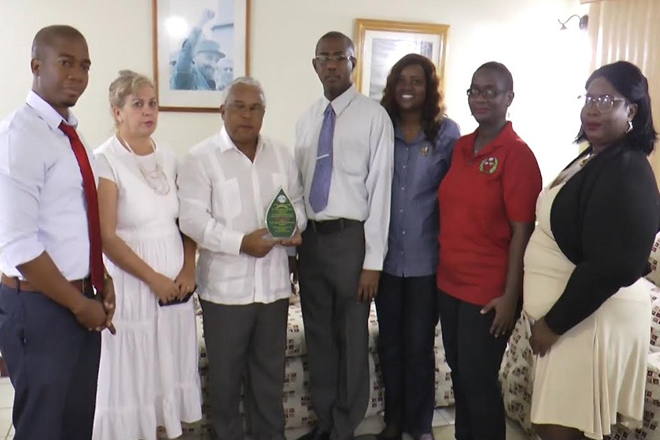 “The Cuban Alumni Association would like to give a presentation of a plaque. Two weeks ago we recognized the passing of el Commandante Fidel Castro and we want the Cuban society, the Cuban Embassy to recognize that we do acknowledge this and to know that we suffer as much as they do,” he explained. 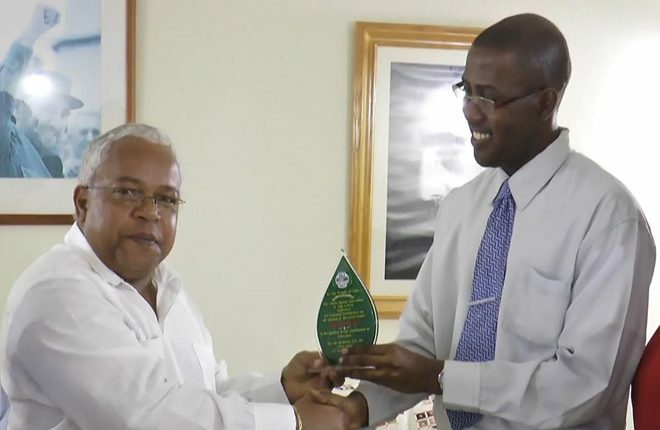 President of the association Hollis Prentice said the opportunities gained from studying in Cuba made it necessary for the association to pay respects to the late leader. “The Cuban Alumni Association is very grateful for the opportunity to study in Cuba for 6- 7 years and some went on to specialize. This token shows our sympathy in regards of the Cuban people. It’s a symbolic reason for the Cuban Alumni doing it because we studied in Cuba and we learned a great deal of Cuba; the culture of Cuba, the economics of Cuba And therefore our hearts and our conscience did not to give back something on the passing of Fidel Castro,” he said. The ceremony was attended by several members of the Cuban Alumni Association. A poem dedicated to the life and work of Fidel Castro was also presented by one of the members. Fidel Castro Ruz ruled Cuba for almost 50 years. He died on November 25 at 90 years old.